Looking for a Fine gift for your dad? Our leather bookmarks can be CUSTOM engraved with your own saying. The perfect gift for those that LOVE to read for any occasion be it birthday, Christmas, New Years, Thank You, Love You, Graduation or any other day! They make great gifts for kids, teenagers, college students and adults of all ages. 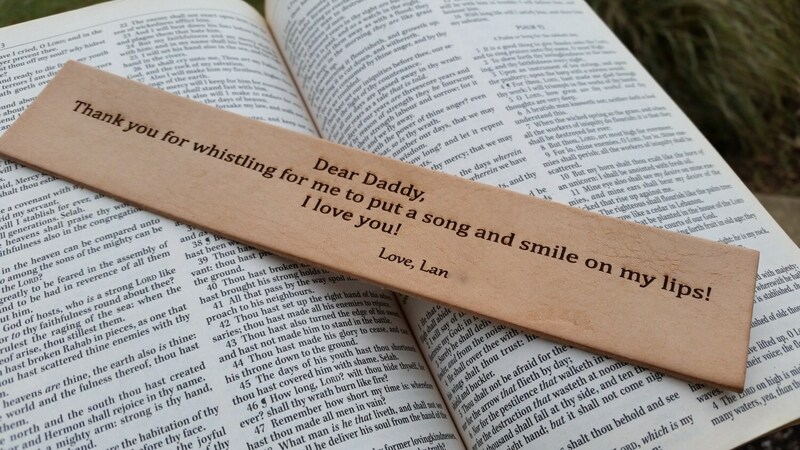 Let them save their spot in their favorite book with a beautifully crafted and heart felt message engraved on it.